After a busy day of writing and researching and walking around the yard and not paying much attention to the time. I think that tends to happen more and more lately, maybe its because it doesn’t get dark until almost 9 pm. We hadn’t thought about supper yet, Mark said he would like to have Mustard Spaetzle (Which I have never heard of). It went very well with the Chicken Schnitzel that we also made (Recipe follows this one). If you want something a little different, This would be another favorite of mine. 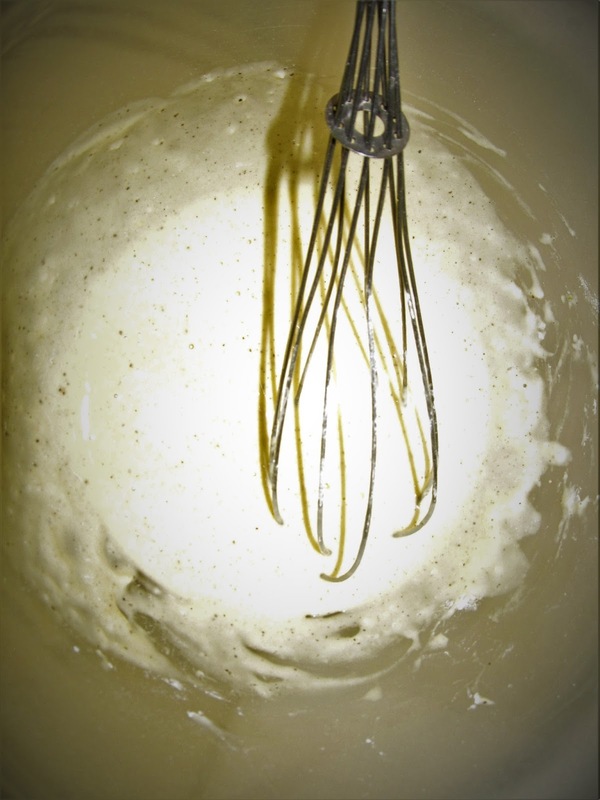 1) In a large bowl, add all ingredients and mix well. 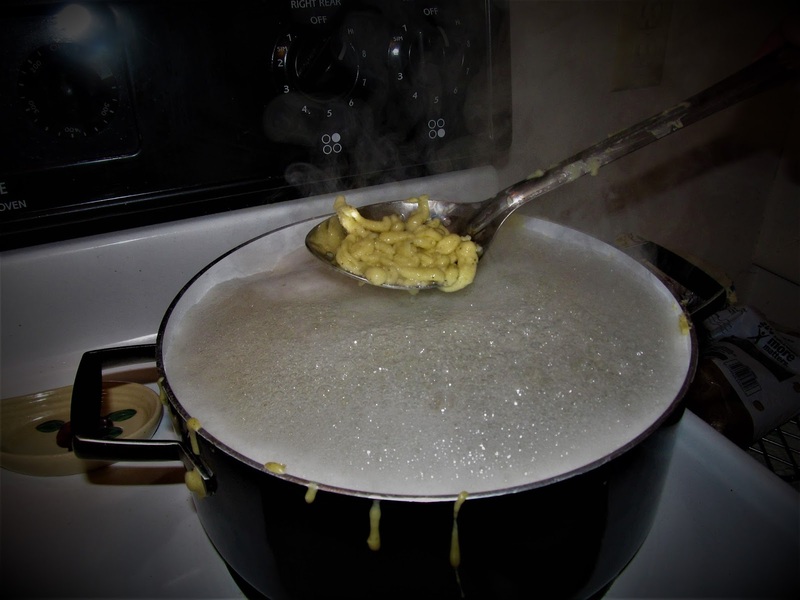 2) Boil 6 cups of water in a quart sized pan with 1 tsp of salt. 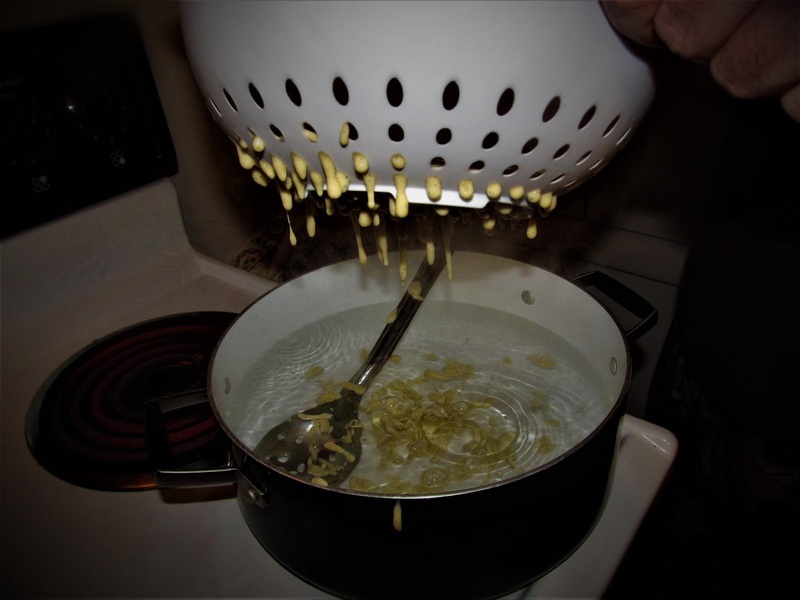 3) Using Colander with holes will help to squeeze mixture through, into the boiling water. 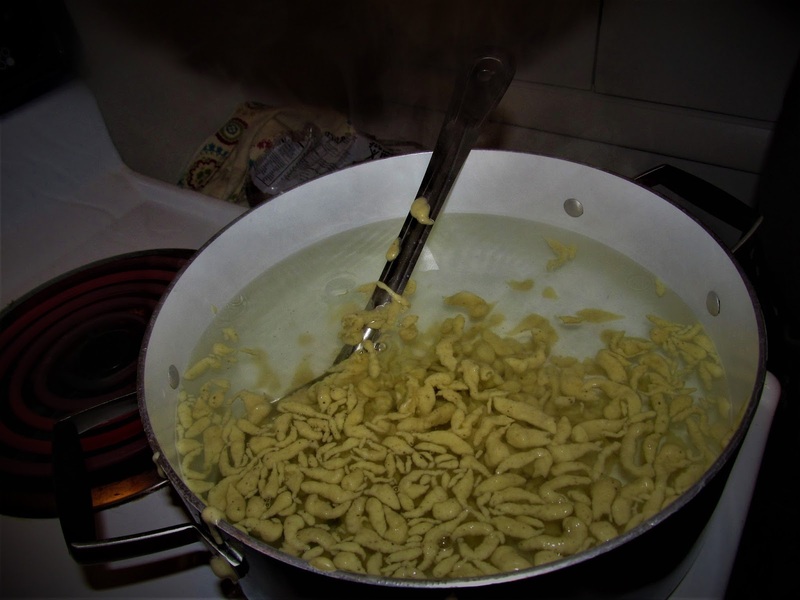 4) The Spaetzle will float to the top when they are ready. 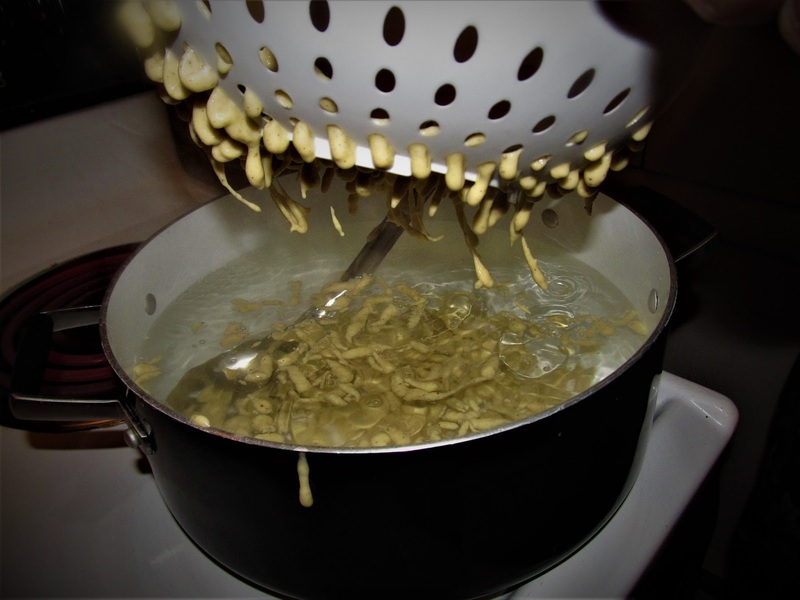 5) Allow to boil for a few minutes til most of the Spaezle floats to the top of the water. They are already looking yummy. 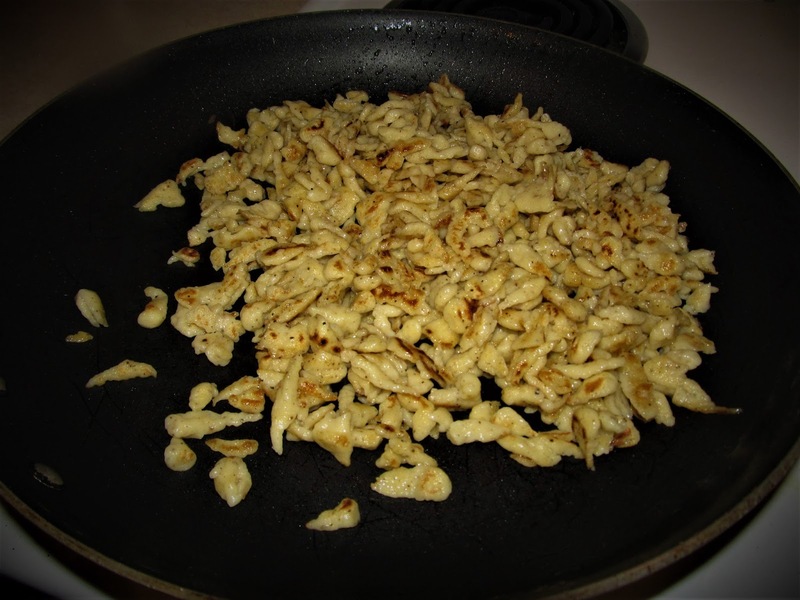 6) Once all of the Spaetzle is floating at top, place in frying pan until golden brown. 7) Simmer until your Chicken Schnitzel is finished.